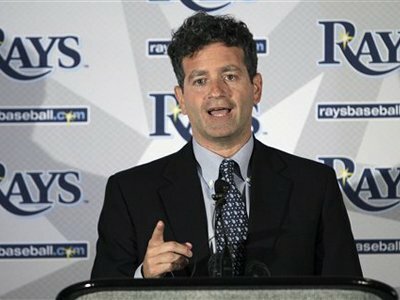 Sternberg purchased a 48% plurality-share in the previously named Devil Rays (now known as the Tampa Bay Rays) in May 2004 from Vince Naimoli, and took over as Managing General Partner in October 2005. He arranged his bid for controlling interest in the team with fellow Goldman Sachs partner Matthew Silverman, whom he hired as the team’s President. He has remained a low key owner, who currently sees his primary goal with the team as getting their finances in order.